Description: Beautiful Sarah Coventry brooch titled ‘Mystic Blue’. This fully signed pin brooch features a large round Swarovski Rivoli crystal imported from Austria circa 1969. Gold tone loops reach up and around this beautiful crystal. 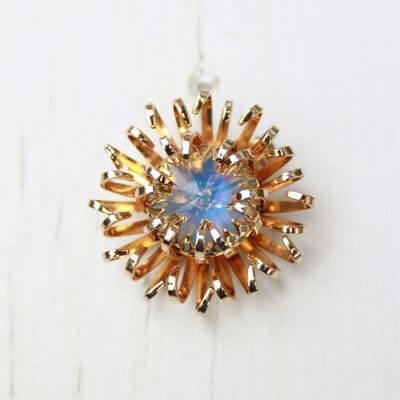 Fiery blues, pinks and aqua tones have an opal like quality. 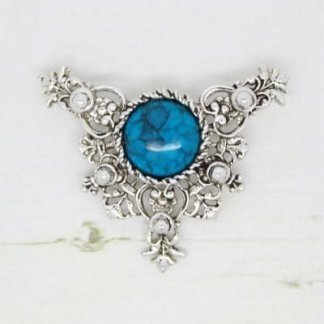 One of Sarah’s most beautiful pin brooches. 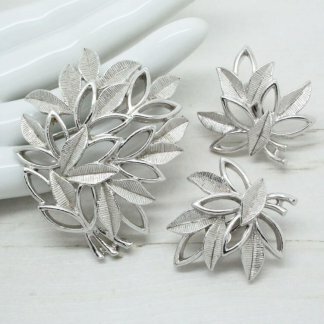 In good condition showing slight to no wear, this brooch appears unworn – shiny and clean. Measuring 4cm across. Care Guide: It’s best to keep your jewellery free of dirt, cosmetics, hairspray and perfume. Avoid water and harsh chemicals. I also recommend cleaning Sterling silver, gold and other precious metals with specialised cleaners. For further help, information & or product photos please contact me, I’m here to help.